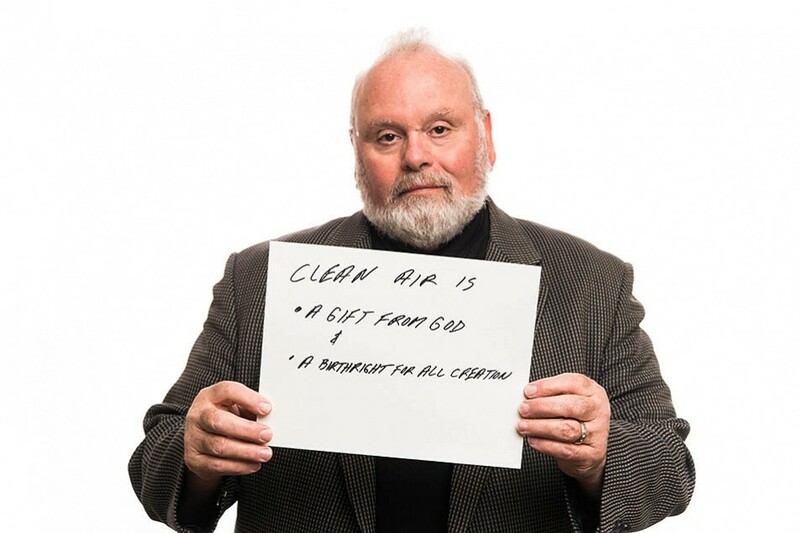 As both a Christian ethicist and a former chemical engineer, reverend and doctor Terry Gallagher knows it’s possible to have strong environmental regulations that keep people safe without crippling American industry. Rev. Gallagher became an ordained minister in the United Church of Christ after a 30 year career as an industrial manufacturing executive. He is now focusing his ministerial efforts toward the escalating global crises of unsustainable economics and ecological destruction. Update: On March 28th, 2017, President Trump issued a sweeping executive order that undermines federal actions to combat climate change, including the landmark Clean Power Plan. Earthjustice will continue to defend the Clean Power Plan in court against any Trump administration attempts to dismantle it. This is a guest blog by Rev. Dr. Terry Gallagher. He is an ordained minister in the United Church of Christ. Educated originally as an engineer, Terry, following a 30 year career as an industrial manufacturing executive, answered the call to ministry. He attained a Master of Divinity degree from the Ecumenical Theological Seminary in Detroit and a Doctor of Ministry degree from the Chicago Theological Seminary. He served as a local church pastor in Michigan for seven years. In response to the escalating global crises of unsustainable economics and ecological destruction, he has focused his ministry efforts on serving society as a Public Theologian. His current ministry is faith-based ecological justice education, advocacy and action. You can find him working toward a just, sustainable world on the web, in the church, in community meetings, in legislative offices and in the public square. If our children and grandchildren are to prosper, our society must find our way toward a carbon-free future. I say this both as a Christian ethicist whose focus is centered entirely on ecological justice and as a former chemical engineer and plant manager who worked in the industry for 32 years before accepting my call to ministry. My industrial career spanned the decades during which many of today’s significant environmental regulations came into existence. I have to confess that as each new regulation rolled out to control some aspect of what industry could put in the air, water and soil, we in industry would let out a howl. We would wail and gnash our teeth, proclaiming that the U.S. EPA was simply trying to drive all American industry out of business. You know—kind of like what the EPA is hearing these days in response to the Clean Power Plan. But here is the brutal truth: American industry didn’t go out of business. We actually got better at doing what we were supposed to be doing all along—manufacturing with excellence. In response to the restrictions on what could be released into the air, dumped into the water or buried underground, we had to get much better at controlling our manufacturing processes. As a result, our yields and our product quality improved. Some of the lesser manufacturers ran to foreign soil to avoid regulations, but those who stayed got much better at doing what we do. We still grumbled about federal regulators, but perhaps with a little less animosity. The EPA still faces criticism for doing what it is supposed to do. Daily, the agency is threatened by Congress with budget cuts. Those charged with protecting all of us get treated to the mindless sarcasm of a senator who brings a snowball onto the floor of the Senate as proof that climate change is a hoax. I understand how underappreciated the EPA must feel for their diligence in protecting the environment. I understand, but I don’t care. Neither should the EPA. They are doing their job. The protests and criticisms and baseless attacks from greedy special interest groups are part and parcel of what happens when they do that job right. This has been true for the EPA since day one, and will continue to be true as long as there is a world that needs protecting for the benefit of present and future generations. We cannot remain on our current path. The continued burning of fossil fuels is incompatible with the survival of human civilization. Our future depends on fossil fuels staying where they are: deep underground. So while I applaud the EPA’s efforts in developing the Clean Power Plan, I also need to state what should be an obvious conclusion: The Clean Power Plan is simply another step on the very necessary path to a carbon-free future. In truth, it’s a step that we have waited far too long to take. After all, the Supreme Court gave the EPA the authority to regulate carbon way back in 2007. As much as I respect the very necessary work of the fine people at the EPA, we all need to bring a greater sense of urgency to what they are doing. I know greater urgency in the implementation plans will undoubtedly incur greater wrath from the senator with the snowball and his various colleagues and associated special interest groups. But making everyone happy is not the EPA’s job; their mandate is to protect our environment and the families and communities that depend on it. Every national science panel across the globe, international institutions such as the United Nations, the World Bank and the International Monetary Fund, along with a growing number of corporations, are all warning that our existing path is unsustainable. As a Christian ethicist, I can tell you there is absolutely no moral justification for us to destroy the potential of future generations just so that we can stay comfortable and resist change. Rev. Dr. Terry Gallagher is a minister in the United Church of Christ. Educated originally as an engineer. In response to the escalating global crises of unsustainable economics and ecological destruction, he has focused his ministry efforts on serving society as a Public Theologian. His current ministry is faith-based ecological justice education, advocacy and action.